Alright, so I think this is a good time for a recap on Ravnica Alligience. I think this is the best standard set in recent memory, and I did not think I would say that after the excellent Dominaria and Return to Ravnica sets. It strikes the balance between power level, good enablers, combo potential, playing well with previous standard sets and flavor very well. 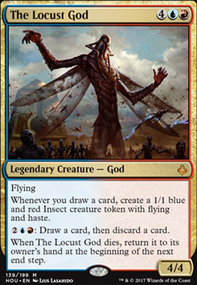 Prime Speaker Vannifar - This card strikes the perfect balance between all 4 categories above and for me, it is the best card in the set. Heck, besides being powerful, it is an Elf Ooze Wizard which just tickels the imagination. Dovin, Grand Arbiter - congratulations WOTC, you finally learned how to make a non-formulaic planeswalker that is actually good! Dovin strikes a very good mix on the above categories, which is a rare occurence for 3 mana walker. Nikya of the Old Ways - this scores well on all the categories above, while also providing fun little minigame in its first ability, much like Nullhide Ferox from last set. Great in Commander too, which I can say for a lot of cards here, giving the whole set a larger audience. Theater of Horrors - this scores really high on all the marks above, especially the buildaround part, but even more on flavor. Rakdos are fully embracing their macabre circus roles. 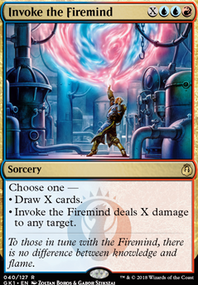 It works great with their mechanic and it is well costed to boot. Teysa Karlov - 3rd teysa iteration is arguably her best. Flavor, good build around, powerful in multiple formats, high marks all around. Unbreakable Formation - high marks on a lot of scales, but mostly the power level and showing off the new ability in a great way. Great card for many, many decks in a lot of formats. Verity Circle - never has Blustersquall looked so good. And it stacks. And it enables itself (albeit for a high cost). May look as just a solid limited card, but it has the potential to be much more. Plus, sweet azorious flavor. priest of the forgotten gods - flavor, power level, combo potential, playability in other formats (mostly Commander). 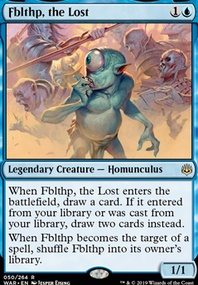 Having a Muldrotha deck in the works, the excitement for this card is only surpassed by Vannifar, and that is very high bar. Electrodominance - high marks on combo potential, playability in other formats and power level, this card does it all. The only thing I do not like is that we did not have it in the set with all the Izzet. Essentially, this card reads : "give any spell in your hand flash. When you cast it, it deals damage equal its CMC" is powerful and right now, I cannot imagine all the possibilities. heck, you can even overpay to deal more damage. 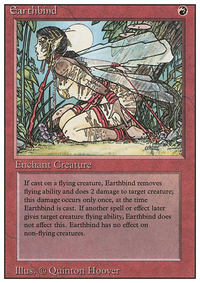 If it wasn't for Vannifar, this would be my top card of the set. Wilderness Reclamation - high marks on all accounts, but combo potential (by staking multiples of this), flavor and multiple format playability is a great thing for this card. Despite being in another guild, it enables addendum perfectly. The first deck I will build in Arena will be a Wilderness Reclamation + Electrodominance combo deck. Overall, I think this is one of the best sets wizards has produced. A lot of cards scoring high marks in all accounts, this top ten (I know there are still 2 days of spoilers, but couldn't wait). One keynote - did you notice how good sets have become now that Wizards has a Play Design team? It is as if players are pretty good at crafting a good playing environment! I think that team is the reason we have such a good set on your hands. What is your top card, top 5 card, top 10 cards of the set? What happens is entirely dependent on when exactly the tap spell (I am going to use Blustersquall in my scenarios just to have a spell to name, but it works with all similar spells) was cast. The combat phase has five different steps and all players must pass priority in succession with the stack empty to advance to the next step. We are only concerned with the first two steps in this scenario, the Beginning of Combat and Declare Attackers steps. 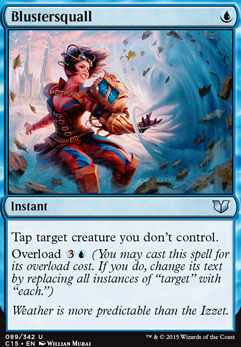 If your opponent wanted to prevent the Thriving Rhino from attacking, they should have cast Blustersquall when they got priority in the Beginning of Combat Step. This would tap the rhino before he attacked. He therefore would not be able to attack and neither his ability nor the ability of Ordeal of Nylea would trigger. The ordeal wouldn't place a counter on him, and you would not get the opportunity to pay to put a counter on him. If your opponent lets you progress to the declare attackers step, you will be able to declare him as an attacker and tap him before any player receives priority. If you do, both his trigger and that of Ordeal of Nylea will trigger. At any time after you have declared the Rhino as an attacker your opponent can still cast Blustersquall targeting him, but tapping him at this point will not remove him from combat. Be aware that you can not just start declaring attackers after you are done on your main phase to make the second scenario true. The flow of the game requires that each player pass priority in succession with the stack empty to proceed to the next step or phase. If you want to just keep bulling ahead in your turns, be prepared to rewind the game if anyone wants to take an action during a priority pass you skipped. If you want to be a bit more cautious with revealing your plans you can simply announce your intent to change step/phase and wait a couple of seconds before taking any actions. "Move to attacks" and a pause allows people to respond and doesn't take up too much time. I am personally in the habit of announcing each of my steps and phases because it reminds me of triggers and also allows people to respond. As for your side question about Ordeal of Nylea; the Ordeal triggers and puts a counter on the attacking creature each time it attacks. If you already had at least one counter on the creature, you could resolve the Thriving Rhino's ability first and the sacrifice clause would sac the enchantment and trigger the Cultivate effect. It is important to note that Thriving Rhino's trigger only gives you the chance to pay once each time it attacks putting a single counter on it. Dispatch would probably be much better than Blustersquall. You might consider 1xBojuka Bog or 1xScavenger Grounds. You're probably going to benefit from some sort of protection spell for your Sphinx. Something like Faith's Shield, Gods Willing, Mizzium Skin. You'll probably get some good swings with Cranial Plating. Some sideboard Artifacts: Ratchet Bomb, Elixir of Immortality, Pithing Needle, Revoke Existence/Disenchant. 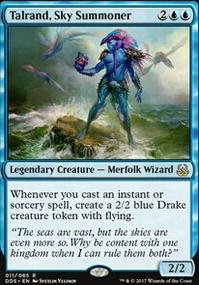 Thassa, God of the Sea will let you pay 1U for each creature to make them unblockable. You could also try cards that give all your creatures flying, fear, or protection. Cards like Akroma's Memorial, Eldrazi Monument, Archetype of Imagination, Frostwind Invoker, Levitation, Wonder, Intimidation, and Vela the Night-Clad. Torrent Elemental, Blustersquall, and Teleportal could work too. @Marcusfudds Good catch, added Blustersquall to maybeboard!